Welcome to our new home. Since 1996, we have been serving Central Ohio as an agency focused on filling permanent, temporary and temp-to-hire openings in the Accounting, Finance and Administration field. Many of you may know us from our previous life as Accountants Inc./Intl. We had a long and happy relationship with AI that ended amicably at the expiration of our Franchise Agreement in September 2010. Over the years, this industry has changed enormously with the development of the Internet and Social Media taking over from the, now almost forgotten, world of faxed resumes. Through a series of acquisitions, AI became a part of a global organization and as the focus started to switch away from the “local organization serving local clients" format that we had always concentrated on, to more of a global client approach, a parting of the ways made sense. As Russell Staffing, we will continue to serve our clients and candidates in the ways that have proven so successful over the years. 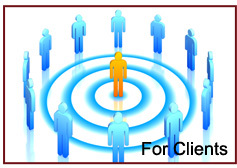 To us, one of the most important criteria is the “Right Fit" aspect of any search. While both clients and candidates are initially focused on many of the technical requirements and duties attached to new opportunities, it is the human aspects that, at the end of the day, are, so often, the determining factor. Every individual and every organization has their own personality and style and we focus on understanding what those are and putting together “Right Fit" matches. With clients, we like to understand what makes your organization tick. 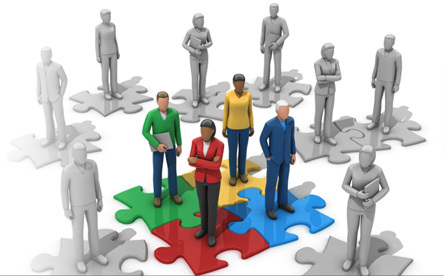 What is your corporate style and what kind of people fit best into your team? 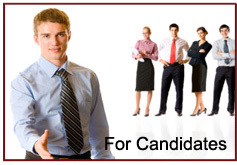 With candidates, we like to meet with you one-on-one, not for a formal interview, but rather to understand what kind of positions you are really interested in, your work history, your likes and dislikes etc. We hope that you agree with us that the “Right Fit" element of any search is critical, whether that be for a new staff member or for a new position, and we would welcome the opportunity to help you achieve that goal. Change of any kind is never easy and, by our very nature, most of us tend to feel more comfortable when it is kept to a minimum. However, in the modern world, we can’t avoid it. Businesses constantly have to reorganize to keep ahead of the competition. Change is inevitable! Since 1996, we have been assisting organizations of every size throughout Central Ohio meet their staffing needs in the Finance, Accounting and Administrative professional fields. We offer the following services to fill those needs.